Welcome to the April digital release blog hop!!!! This is my card for the April digital hop. I used this great little vintage girl called Muffin Girl designed by Lia Stampz. An absolute fantastic image to work with especially since I came across some vintage papers to work with as well. That Muffin Girl is definitelhy rocking it!! Love the colors you used and our layout! Great card. Fantastic colouring of Lia's new image, such amazing highlights. Muffin Girl is a lovely image. 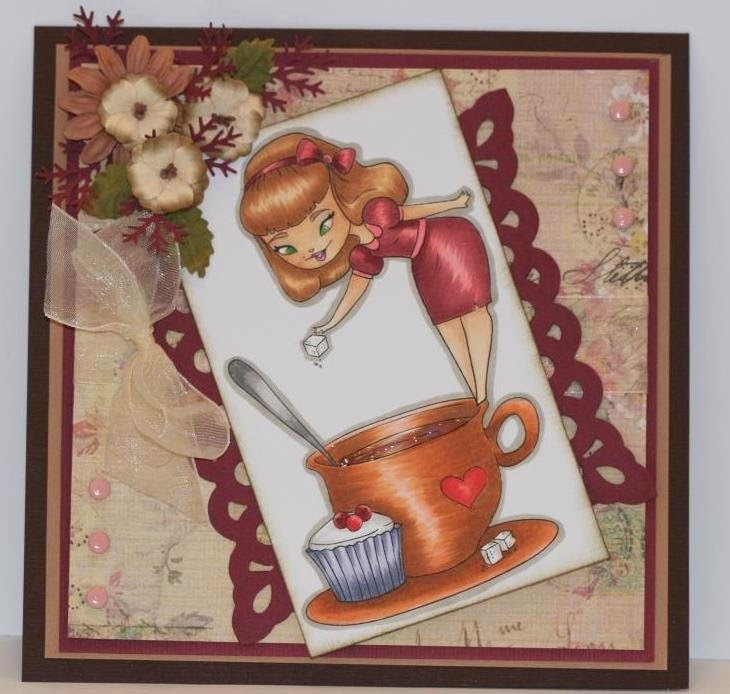 I love the brown tones you used along with the vintage paper. Perfect! Awesome, always a great day coming to your blog...love it, nice flowers, and great color choice...way to go with the paper too! Cheers!